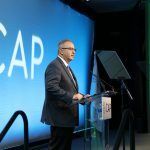 The CAP Foundation’s flagship program enjoyed a busy spring, summer, and fall, logging eight events in eight different states. 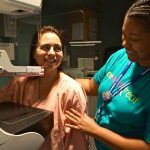 From April to October, See, Test & Treat provided free cancer screenings to over 500 women, some of whom had never had a mammogram. Much like the women it serves, no See, Test & Treat event is the same. Read on to find out highlights from each program. 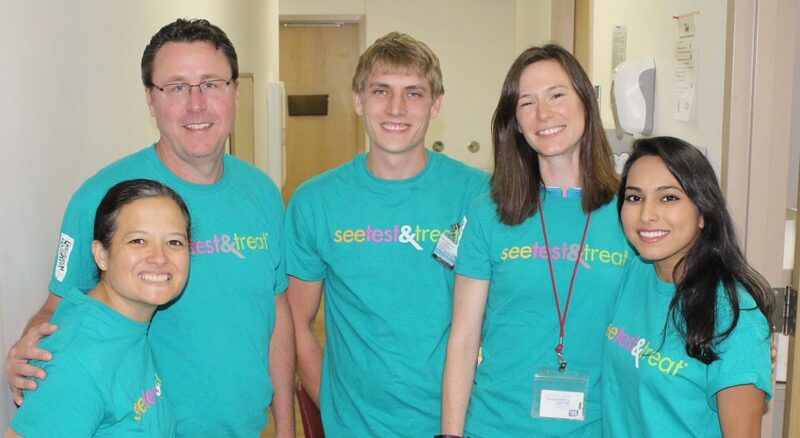 MICHIGAN: Sharon K. Bihlmeyer, MD, FCAP, led the fourth annual See, Test & Treat program at St. Joseph Mercy Medical Center, in Ann Arbor, Michigan. Of the 79 underinsured and uninsured women served, more than 20% of attendees had never had a mammogram, and 15% of those present tested positive for HPV. Drawing on previous experiences, the St. Joseph team reconfigured the allocated program space and provided patients with a program map and pagers, increasing patient engagement and program participation. University of Michigan pathology residents, led by Caroline Simon, MD, created educational patient activities about the importance of disease prevention. NEW YORK: The See, Test & Treat program at Montefiore Medical Center, in the Bronx, New York, featured English and Spanish versions of a new pamphlet emphasizing the importance of the HPV (human papillomavirus) vaccine. 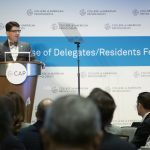 The pamphlet project was led by Montefiore pathologist Mark J. Suhrland, MD, FCAP, a 2017 recipient of the CAP Foundation’s Herbek Humanitarian Award. 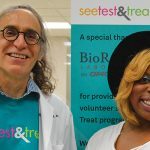 NEBRASKA: Thanks to the enduring support of Becton, Dickinson & Company (BD), coupled with volunteer clinicians from Methodist Hospital, University of Nebraska, and Nebraska Medical Center, nearly 50 women participated in See, Test & Treat at the Charles Drew Health Center in Omaha, Nebraska. Facing significant socio-economic barriers, none of the women had health insurance and nearly half had never had a mammogram. Led by Gene N. Herbek, MD, FCAP, with support from John Baker, MD, FCAP, Ana Yuil-Valdes, MD, FCAP, and pathology resident Mariam Molani, DO, the program delivered new health and screening services addressing oral cancer and behavioral health. 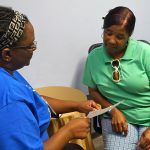 VIRGINIA: The Hampton Roads Community Health Center (HRCHC) hosted its first-ever See, Test & Treat in Portsmouth, Virginia, led by Crystal A. Moore, MD, MBA, FCAP. See, Test & Treat was integrated into the HRCHC annual community health fair, offering blood pressure and glucose checks, along with HIV screening. Additionally, school physicals and dental screenings were offered for children. TEXAS: Physicians and partners from multiple institutions across the Houston community came together for See, Test, & Treat at Liberty-Dayton Regional Medical Center in Liberty, Texas. Supporters included Texas Baylor College of Medicine, Houston Methodist Hospital, Lee College, MD Anderson, and UT Health McGovern Medical School. “See, Test & Treat allows us to participate with several institutions and physicians from the Houston area, creating a strong multidisciplinary, organized team to provide excellent care to our community at Liberty-Dayton,” said lead pathologist Laura Quintero, MD, FCAP. 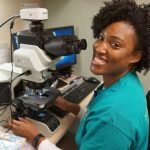 The program included multiple patients diagnosed with high grade squamous intraepithelial lesions and one diagnosis of cervical cancer in a patient in her 20s. Gynecologist Carol Robazetti, MD, CCRC, and gynecologic oncologist Joseph Lucci, III, MD, UT Health volunteers, provided follow-up care and support for patients given a life-changing diagnosis. 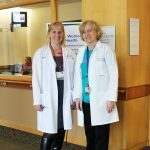 ILLINOIS: The Loyola University Medical Center hosted its fourth See, Test & Treat program, led by Eva M. Wojcik, MD, FCAP, serving a diverse population that included Hispanic, Polish, and Turkish patients. Its location in a medically underserved area, characterized by high unemployment and limited access to primary care providers, is what makes Loyola’s program so valuable to the patients it serves. 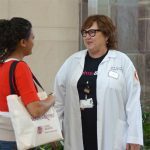 NEW JERSEY: Seventy women were screened at the See, Test & Treat program at Rutgers New Jersey Medical School, led by Debra Heller, MD, FCAP. “This program embodies the best of why we all go into health care: our humanism, altruism, and volunteerism. 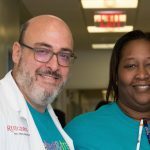 We gang together as a team with a patient-centered focus to allow all of our best traits as a health care team to come out for a good cause,” said Dr. Mark Einstein, chair of the Department of OB/GYN & Women’s Health. MINNESOTA: In 2018, NorthPoint Health & Wellness Center celebrated its 50th anniversary, along with hosting its 12th See, Test & Treat program. Led by Bradley Linzie, MD, FCAP, the three-day program served 136 women and featured culturally specific segments for African American, Somali, Hmong, and Latino populations.